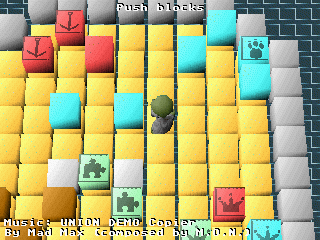 CUBEX is a mix between Sokoban & Vexed featuring full 3D graphics. Push a block to a similar block to make them disappear. Clear all blocks to go to the next level. This is a remake of CUBERXTREME.